We are all partial to fragrances, in whatever form it may be in. There are perfumes, there are essential oils, colognes, reed diffusers, room sprays, potpourri, and even fresh flowers. There are also candles! I used to buy candles all the time and light them in the evening when I was the only one up. I would watch whatever show I was into, and relax with the scent of the candle. It was a lovely routine I created for myself, but then I stopped buying candles for a while. It wasn't until a few weeks ago that I was approached by Northern Lights Candles that I got into candles again. 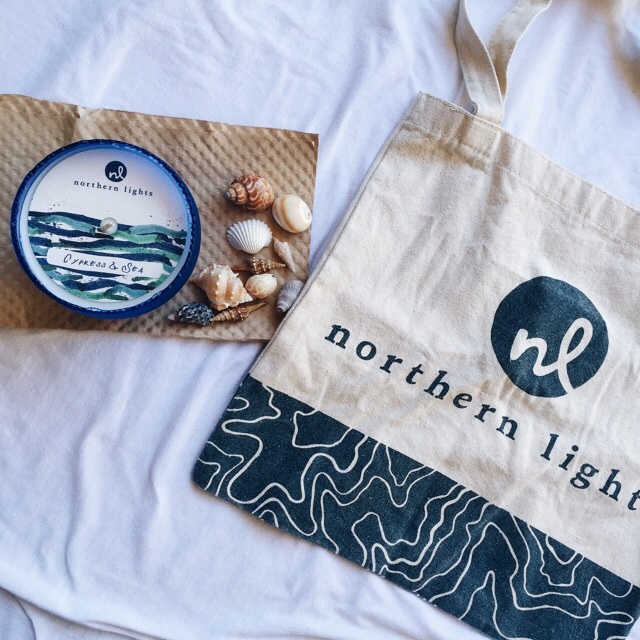 Northern Lights Candles have beautifully scented candles in exquisite collections. I am very partial to the nautical look, so I went with the Tide Pool collection. This beautiful candle was a pleasant aroma burst when I first opened it's box. 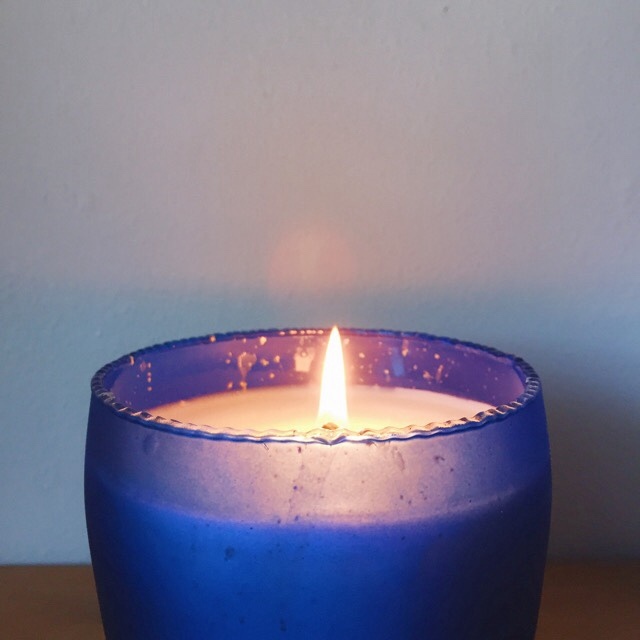 Then, when I saw the gorgeous, blue, hand-blown glass tumbler, I fell completely in love with this candle. I love the speckles on the glass, and it really reminds me of the recycled, sea-tumbled glass that you would find on the beach. 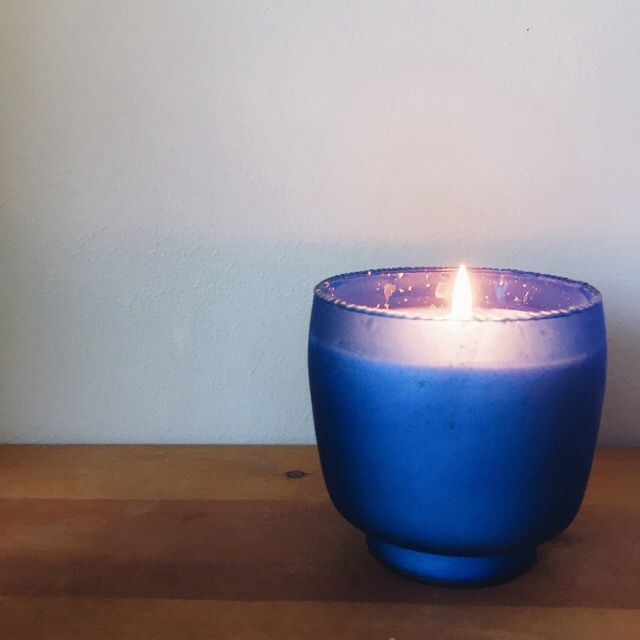 Fragrances can bring about memories, or feelings, and when I smell Cypress & Sea, it reminds me of a cologne my dad used to wear, but the candle is sweeter smelling. There are other colors, and fragrances in the Tide Pools collection, and after browsing the collection, I am very interested in trying the Seagrass & Aloe candle. I would love to try the whole collection, but one candle at a time. With Northern Lights' help, I have recreated my evening routine of relaxing with a lit candle, and I love it. It is of course gorgeous when it is not lit, but it becomes this beautiful orb of glowy glass when the wick is lit. The speckles on the glass enhance with the fire behind it, and the blue glass just radiates. It also smells so wonderful when it isn't lit, but once it is lit, it makes the whole room smell beachy, and so pretty. Not only is the glass tumbler itself gorgeous, but look at their design. Many of you know that I love designs with a white background, and simple touches. I love the water color look for the sea. It is so eye-catching and attractive. I kept the paper inside the candle because I find it so pretty! When I light Cypress & Sea, it takes me back to those little beach towns on the coast, and digging my toes in the sand. It takes me back to memories of hugging my dad, and smelling his cologne. It is amazing how fragrance can stimulate your olfactory senses and trigger memories, or remind you of pleasantries. 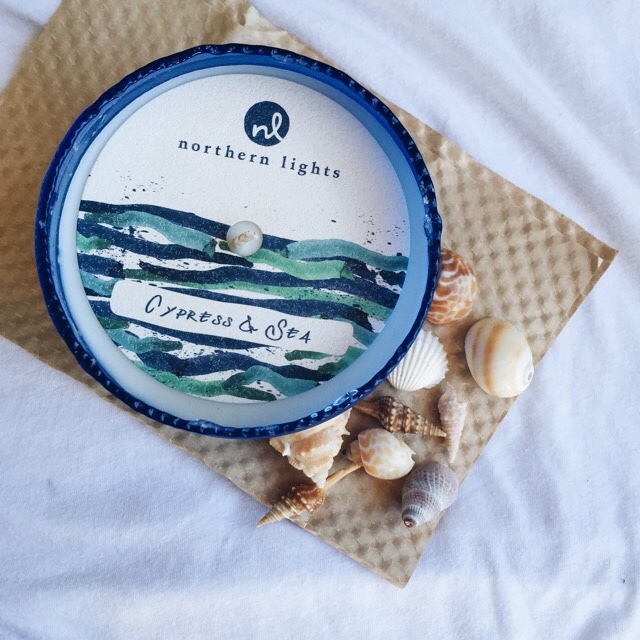 Northern Lights Candles has many more collections than the Tide Pool collection, and they are all gorgeous! They even have unfragranced candles for those who may be sensitive to fragrance, or those who may just want decorative candles. 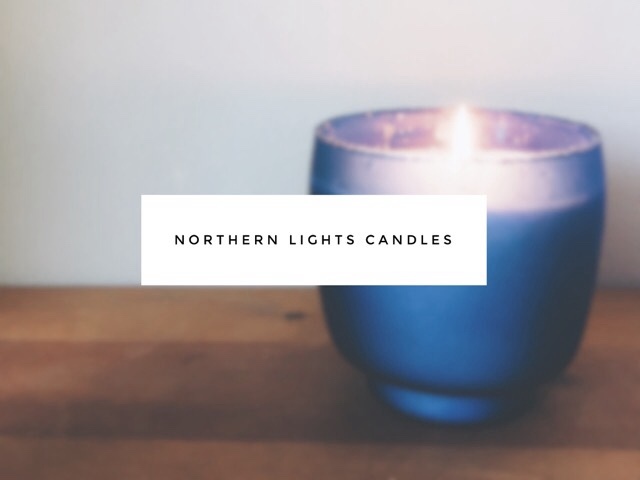 Whatever your taste or interests may be, I am sure that Northern Lights has a collection or a candle for you. 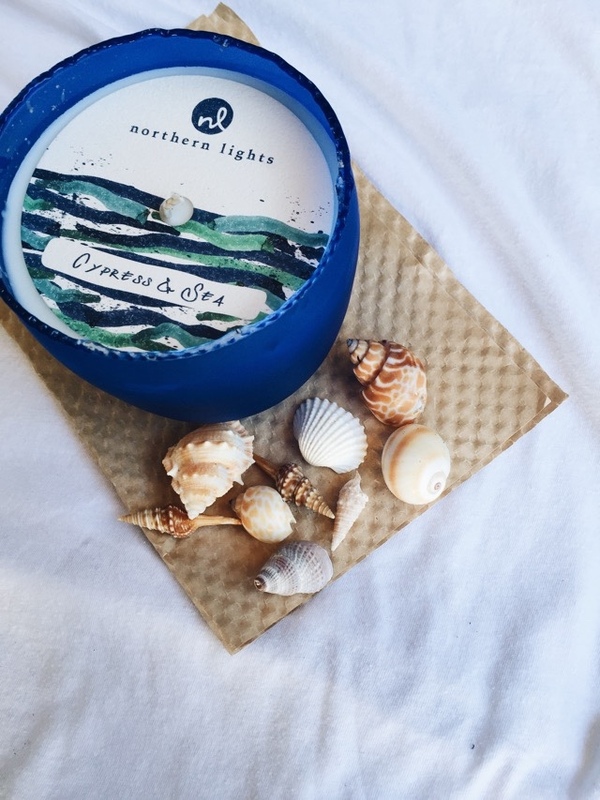 Visit their easy-to-use site, and browse their collections, and treat yourself to a relaxing evening with the glow of a Northern Lights candle. This post was sponsored by Northern Lights candles. All photos and opinions are my own. Wow ! It is so beautiful in color and burning just like a star, It is good to use in a room at night with fragrances. You can buy the top quality of fragrances Luxury Candles at affordable price. Wow this is really nice. I always looking for something like this, thanks for share such a creative idea. I am working with a Candle making company. All of our soy candles are produced using soy wax, organic essential oils and natural flowers only.